On Dec. 27, two teams will face each other for the first time since 1930. The Temple Owls defeated the Wake Forest Demon Deacons 36-0 in their only meeting on Nov. 1, 1930. The two teams will play a rematch in the 2016 Military Bowl in Annapolis, Maryland. Temple will return to Navy-Marine Corps Memorial Stadium for the second time in as many games. The Owls upset the then #19 Navy Midshipmen 34-10 in Annapolis on Dec. 3 to win their first American Athletic Conference Championship. Temple last won a title game in 1967 as a member of the Middle Atlantic Conference. With their win over the Midshipmen, the Owls improved to 10-3. After Temple defeated Navy, its coaching staff underwent a major change. Former Owls head coach Matt Rhule left the school for Baylor University. He will serve as Baylor’s head coach. Former University of Florida defensive coordinator Geoff Collins will replace Rhule after the Military Bowl. Ed Foley, a ninth year Temple staff member, will serve as the Owls’ interim head coach through the bowl game. The one constant through Temple’s month of change is its strong defense. The Owls have allowed the third fewest yards per game in the Football Bowl Subdivision this season. They held a Navy team that averages 311 rushing yards per game to 168 in the AAC championship. To back up its elite defense, Temple sports a two-headed rushing attack. Running backs Jahad Thomas and Ryquell Armstead each have 918 rushing yards on the year. The two have 19 and 14 touchdowns, respectively. The Owls’ running game pairs well with quarterback Phillip Walker’s game management. The senior does not put up flashy numbers, as he averages 8.4 yards per attempt. However, his 140.9 passer rating displays Walker’s efficiency. 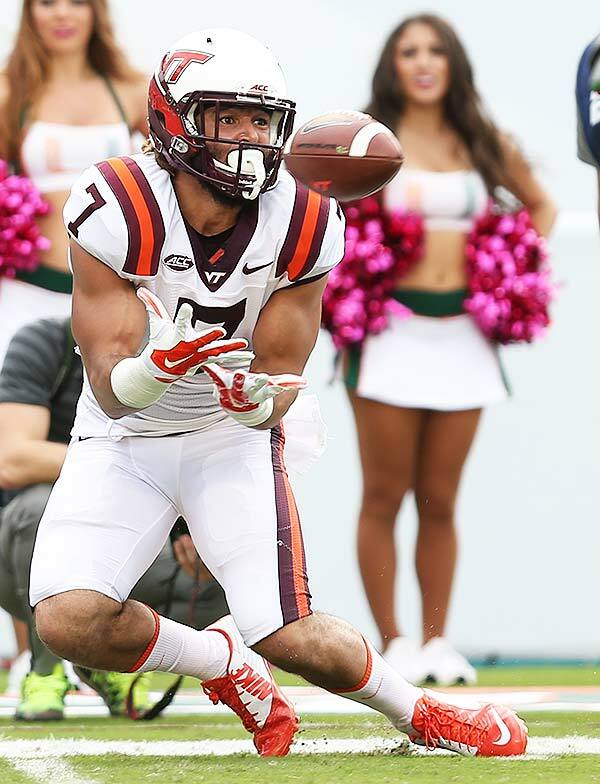 Temple’s keys to the game are maintaining its dominant defense, establishing its rushing game early and supplementing the run with Walker’s steady passing. If the Owls keep to their usual game plan, the Demon Deacons will have trouble preventing Temple from earning its eighth straight win. The Demon Deacons are in the middle of a scandal. Elrod is a former coach and player for the Demon Deacons. Wake Forest accused Elrod of distributing their confidential game plan to the Louisville Cardinals ahead of their matchup on Nov. 12. While the investigations continue and more information surfaces, the 6-6 Demon Deacons have to prepare for the Owls. The one thing Wake Forest has working to its advantage is its defense. Like the Owls, the Demon Deacons are stingy, allowing the 20th fewest points per game in the nation. 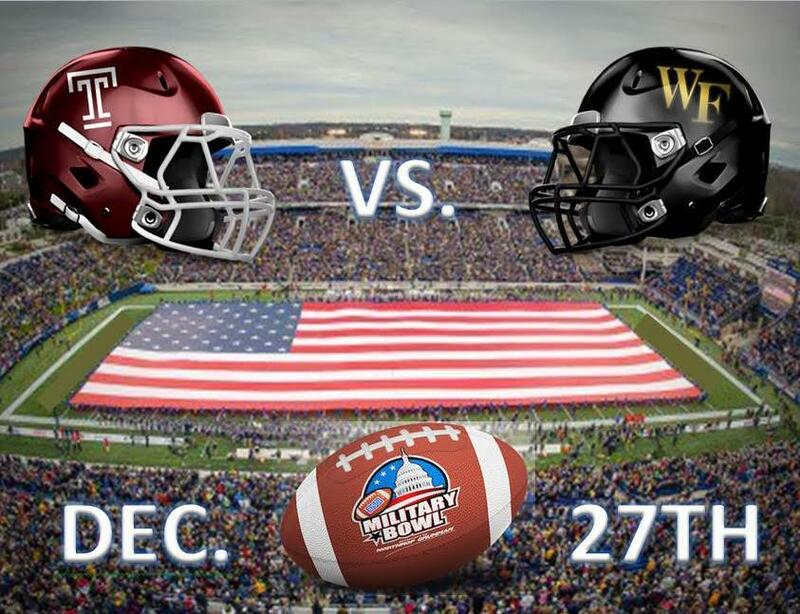 As Wake Forest allows 21.8 points per game and Temple surrenders 17.2, the Military Bowl should be a low-scoring affair. The Demon Deacons will need to keep the score low to mask their offense’s lack of production. Wake Forest collects the fifth fewest points and fourth least yards per game in the FBS. Instead, the Demon Deacons will look toward their defense to spark big plays. With 25 takeaways on the season, including the third most fumble recoveries in the nation, Wake Forest’s defense is disruptive. In addition, the defense’s 37 sacks are good for 13th in the FBS. The Demon Deacons’ keys to the game are shutting down the Owl’s top rushers and creating big plays with their defense. If Wake Forest can play aggressive defense, they should be able to contend with Temple. So long as the defenses play well, one play could be the difference in the game. The defenses will rule the first half of the matchup, keeping the score tight. 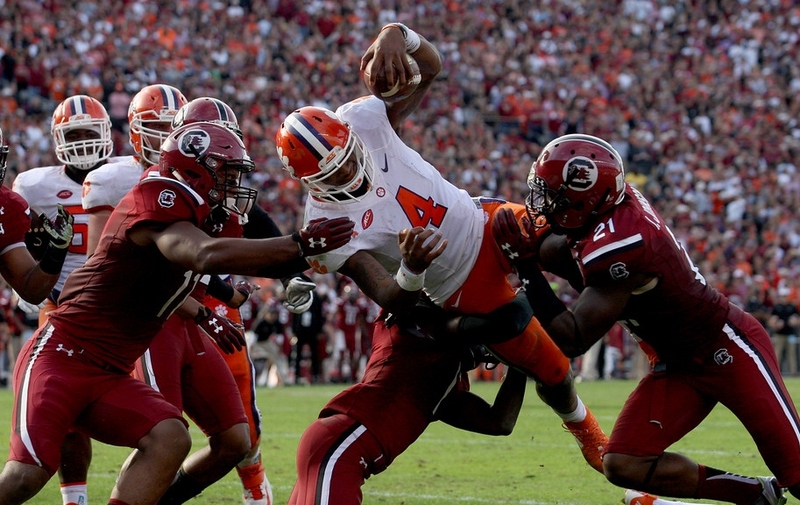 Neither offense will be able to establish the run, setting up frequent third-and-longs. The third downs will force the teams into obvious passing situations. With more long throws than normal for Walker, the Demon Deacons will intercept at least one pass in the first half. After the Owls make halftime adjustments and increase their tempo, they will pull ahead. A tired Wake Forest defense will allow Temple to milk the clock to victory with their rushing attack. The Owls will win 27-10, giving Temple its third bowl win in six appearances. With the loss, Wake Forest will fall to 6-5 in bowl play. ← Lesnar Suspended from UFC, opens the door for WWE full-time?